Most peoples and tribes of the Earth developed purification rites for life’s most extraordinary events. Jindilli Rites of Renewal refresh the body, refocus the mind and restore the spirit. These purification rituals are as old as mankind yet as fresh as tomorrow utilizing universal, cross cultural themes. The rite begins with a relaxing full body massage using pure luxurious Macadamia oil, which is naturally anti-inflammatory, anti-microbial and hypo-allergenic. The treatment concludes with Jindilli’s ergonomically designed BoomaGlam, which molds to the contours of the body providing deep effective relief. Paying homage to indigenous Australian heritage, Jindilli’s signature BoomaGlam massage is an excellent combination of unique cultural touches and manual techniques for muscular aches and pains. Inspired by the traditional smoke ceremonies of the Aboriginal people, this rite begins with a smudging ceremony followed by a lime blossom scrub and deeply hydrating massage, renewing the skin and leaving it glowing and supple. This exotic treatment relaxes and refreshes with the heavenly scent of lime blossoms infused into Jindilli’s exquisite sugar scrub, rich with nourishing macadamia oil. This ancient earth cleanse provides the elements for this rite to gently nurture the physical, emotional, and spiritual body. 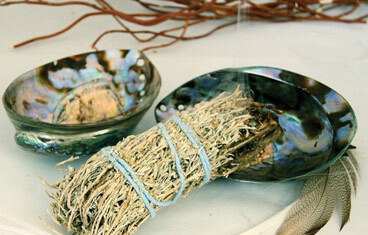 Clay sourced deep within the Ancient Earth is one of the most effective cleansing agents in nature. 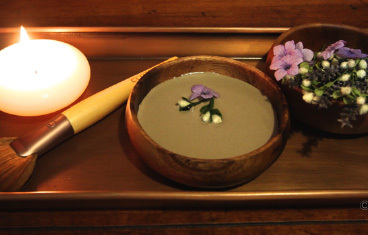 Combined with lavender and chamomile to soothe the skin, the clay absorbs toxins and heavy metals. A naturally cool body mask rich in cooling aloe and hydrating cold-pressed macadamia oil, sourced from the rainforests of Australia, is applied to the body and then wrapped cocoon-style in damp cooling sheets. 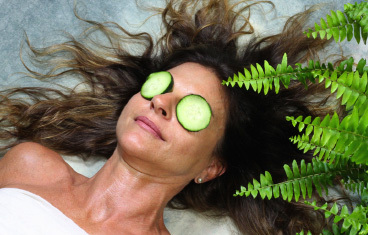 The mask is also applied to the face along with fresh cucumber slices for a whole body cooling experience while enjoying a deeply relaxing foot and scalp massage. This rite is excellent for raw, sunburned skin and to nurture the already suntanned body. This deeply hydrating, luxurious facial will bring you into your own state of dreaming. 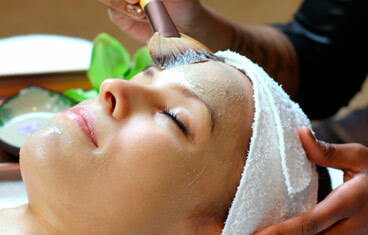 Ideal for dry or sensitive skin, this treatment is a highly effective and totally relaxing experience. Our facial gently cleanses, purifies and provides nourishing Omega 7 fatty acids to thirsty skin. 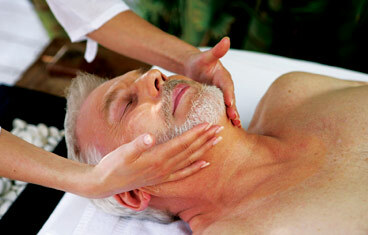 Experience a rejuvenating facial cleansing, a Macadamia clay mask and a deeply moisturizing facial massage. This is an excellent treatment for maintaining healthy skin and to hydrate mature skin. Rejuvenate your eyes with this amazing eye treatment that combats fines lines, puffiness and dark circles. A secret blend of beautiful herbal extracts and oils of macadamia and tamanu diminish the appearance of shadows and fine lines. The light touch of a lymphatic drainage massage reduces puffiness and dark circles enhanced by the application of our brightening eye crème. The treatment ends with a face and cranial pressure points massage while a relaxing aromatherapy eye pillow rests the eyes. Enjoy a classic gentlemen’s facial where steaming hot towels and massage are key to the experience. The treatment begins with a deep cleansing and exfoliation with our macadamia oil based products. This is followed by a facial mask and rehydration with Jindilli’s nourishing skin enrichment crème, Body Nourish. The facial concludes with a scalp, neck, shoulder and upper back massage with luxurious body butter. Using sustainably harvested cane sugar in a macadamia crème base, the body is gently exfoliated from tip to toe. The scrub not only cleanses and softens, but also stimulates blood flow to the surface of the skin. This heavenly scented exfoliating treatment stimulates new cell growth and is an excellent remedy for reducing stress. This full body wrap features a bentonite clay based body mask for deep tissue cleansing with lavender and chamomile added to soothe the skin. This treatment detoxifies, cleanses and reduces the pores while absorbing toxins and heavy metals. Indigenous peoples believe that the hands are a true seat of power in the body and this luxurious experience for hands and nails honors this sacred belief. Beginning with a fragrant warm soak and a lime blossom scrub exfoliation of the cuticles, hands and arms, a massage with macadamia oil rich body butter provides deep skin repair and wonderful relaxation. This is followed by a manicure providing meticulous nail grooming and perfect polish application. The aboriginal walkabout rite of passage embraced months in the wilderness to gain knowledge and truth. In your own personal search for the same, your feet walkabout day in and day out. It’s time to give those feet a little love through this customized experience leaving them clean, relaxed and ready for the world again. 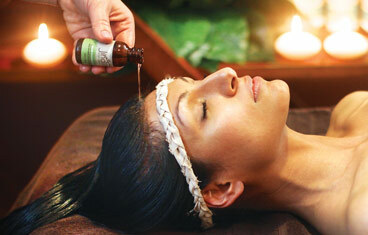 This outstanding head and hair treatment deeply hydrates the hair and scalp while releasing tension. This treatment not only leaves the hair luxuriously soft and shiny, but also relieves stress and soothes frazzled nerves.